Maybe you want a rental boat or need bait and tackle. We have it all right in the heart of the Florida Keys. When youâ€™re in Marathon youâ€™ll be minutes from the largest coral reef in the U.S. And that makes us the perfect choice for diving, boating, fishing...not to mention anyone who loves the surf and sand. So welcome to Captain Hookâ€™s Marina and Dive Centerâ€”the best the Florida Keys has to offer. Captain Hookâ€™sâ€”A Prime Location. Since the 1950s, Captain Hookâ€™s Marina and Dive Center has been the place to get everything you need for a day on the water. Charters for fishing, diving, snorkeling, dive instruction and certification; bait and tackle; scuba equipment and air tanks; boat rentals; snacks and beveragesâ€”we have all the supplies youâ€™ll need to enjoy an area celebrated for world-class fishing, diving and all water sports. We are conveniently located oceanside on the Overseas Highway at the Vaca Cut bridge (MM53), which puts us just minutes from Marathonâ€™s incredible reef and prime fishing waters. Let Some Insiders Hook You Up! Think of us as your concierge in the Keysâ€”besides charters, weâ€™ll help arrange your hotel rooms or vacation rentals, transportation between hotel and marina, take you to the best fishing waters and show you how to catch different fish. Maybe youâ€™re looking for the perfect picnic spot or recreation area for family fun; or you want to know where the food is good (and where itâ€™s not!). Whatever your travel or vacation needs are while youâ€™re in the Keys, Captain Hookâ€™s can help. Want to See a Shark or an Eel up Close? Ever seen a voracious, slimy, snake-like eel? How about a stealthyâ€”and toothyâ€”shark? Captain Hookâ€™s Aquatic Learning Center includes a fascinating collection of sea life that you can see for free! Our pond is home to nurse sharks, eels and assorted other sea creatures. Daily feedings occur at 4 p.m., so bring the kids because theyâ€™ll love it. School groups, troops and organizations are always welcome! Interested in diving? Hereâ€™s how to get started. Can anyone learn to scuba dive? Almost! Weâ€™ve taught a wide range of underwater enthusiasts from 10 years old and up. So if you are interested in learning a safe, fun way to explore the world underwater and youâ€™re in generally good health, then you meet two of the most important criteria. We are a 5-Star PADI affiliateâ€”the Professional Association of Dive Instructorsâ€”which is the largest recreational diver training organization in the world. As such, we follow a well-established curriculum for teaching beginner through advanced diving skills, all in a comfortable, convenient and (because weâ€™re in Marathon) fantastic environment! How do I get certified? We teach a variety of beginner and specialty courses. You can become a certified diver through a three-day course by completing class, pool work and four open water checkout dives. What if I just want to try it? No problemâ€”we have a terrific one-day Resort Course so you can discover the excitement of scuba diving. Class and pool sessions are followed by two open water dives. This Discover Scuba experience includes instruction, scuba equipment, pool session, two open water dives and boat trip. Where do classes take place? When you sign up for dive instruction at Captain Hookâ€™s, there are a couple of options for completing the coursework prior to your first dive. First, we offer on-site instruction in our training room. Alternatively, if you wish to complete your coursework before you arrive at Captain Hookâ€™s, you can enroll in our eLearning course sanctioned by PADI. In this case, youâ€™ll be able to complete the course on your time and at your pace. How long does it take? 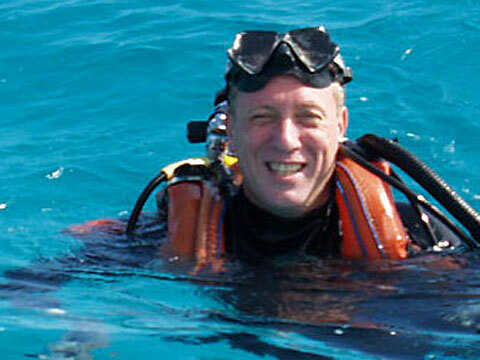 It depends on the courseâ€”from a one-day introduction to scuba diving to a multiple-day advanced course. Check out the list of courses on Dive Prices. What equipment do I need? For beginners, nothing! All equipment is included in the cost of your instruction. Of course, we do sell dive equipment for those who want to purchase their own. How much does it cost? Costs depend on the course and the number of students in a group. For details, please go to Dive Prices.You want fishing? You canâ€™t handle the fishing! Sailfish, blackfin tuna, dolphin, barracuda, kingfish, yellowtail, bonefish, black grouper, mackerel, marlin, permit, cobia, wahoo, mutton snapper, mangrove snapper, amberjacks, redfish, tarpon, hogfish, sharkâ€”we could go on and on, but you get the idea. The possibilities are nearly endless for fishing in the Keys. And weâ€™re right in the middle of it all. Catch the Fish of a Lifetime World classâ€”thatâ€™s the style of fishing for which the Keys are known. And whether you hope to fit a quick fishing jaunt into a busy day or youâ€™re planning a full-blown fishing vacation, Captain Hookâ€™s Marina and Dive Center has everything youâ€™ll need. Catch Your Favorite Fish So whatâ€™s your pleasure? Pompano and grouper near the deep wrecks? Maybe youâ€™d like to hook a hundred-pound tarpon in the channel or spend an afternoon casting for bonefish out on the flats. Many options are available with our crew of Charter Captains. Prices vary depending on the type and length of the charter, so call or e-mail us for more details.